Your Original Green Clean Team! We're the York Region & Greater Toronto Area's original Chemical-Free home and office cleaning team. We're fully insured and bonded, offer exceptional service, use ultra-green plant-based cleaners and a stand behind our clean with a no-nonsense Green Clean Guarantee. Plus, we were voted ‘Readers Choice’ for Best Home Cleaning Company in the Era Banner Reader’s Choice Survey – 6 years in a row! Get a Free Green Clean Quote! Looking for a cleaning team you can count on? You're in good hands: we’ve shared award winning home care services with hundreds of happy Ecosparkle customers for nearly a decade. Send Us a Note - We're Happy to Help! 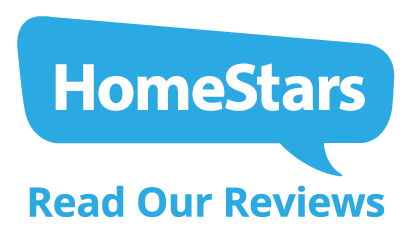 Our customers say it best: we’re a 6 year straight reader’s choice winner with a commitment to providing the ultimate, first-class service you should rightly expect from your cleaners. Whether you’re looking to have your home cleaned regularly, need to freshen up your home for a quick sale, or simply want to learn more about our highly trained Green Clean Team, you’ll be glad you called Ecosparkle! We’ve partnered with the most respected, ultra-green cleaner manufacturers to ensure that nothing but our signature sparkling shine is left in your home. All cleaning products we use – either inside or outside your home – are purely plant-based – 100% free of petroleum products or artificial ingredients, with no harsh synthetic chemicals, no dyes and absolutely no worries for you, your family or your pets! We’re never satisfied until you are completely happy with the work performed by our Green Clean Team. Our customers are our family, and we’ve been happily serving many of them since we first introduced our unique, all-natural, sustainable and purely plant-based cleaning service to the York Region and Greater Toronto Area 8 years ago. If you’re not happy, we’ll make it right – guaranteed. 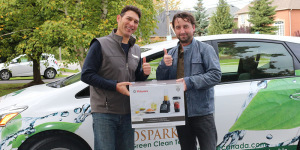 Contest Update: These Lucky Winners Took Home a Vitamix and More! 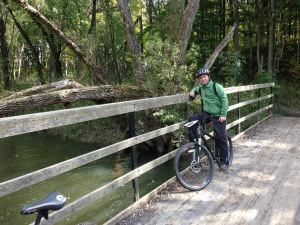 Ecosparkle Takes On the Exhale Trail Ride! 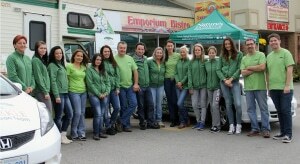 Ecosparkle Celebrates Customer Appreciation Days with Nature’s Emporium! 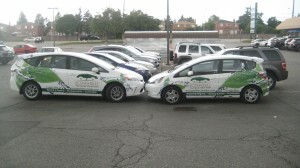 Introducing: The Brand New Ecosparkle Green Clean Team Fleet! Ecosparkle Takes to Two Wheels for the Wild Ride & Healing Cycle Event! Ecosparkle takes on the 2014 Tamarack Challenge in Ottawa! Don't Leave Your Home to Chance. Choose a 6 year straight Reader’s Choice Winner that’s been trusted by hundreds of the most discerning home owners for nearly a decade: Ecosparkle, Your Green Clean & Home Care Team! Book a Free, No Obligation Estimate. Try our Green Clean Team for your home or office - you'll love it, guaranteed! House Cleaning Services Available in the Greater Toronto Areas and the York Region.